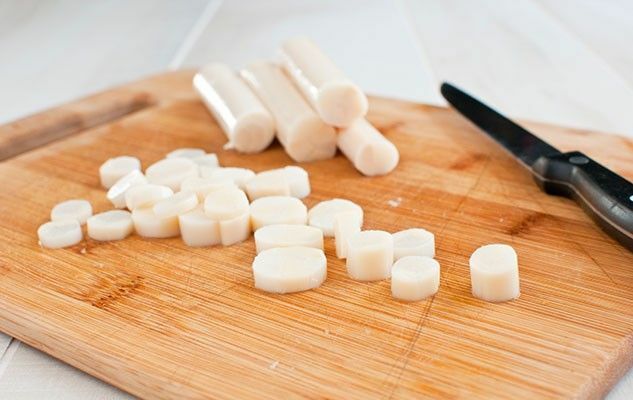 Although it’s considered to be a vegetable, the heart of palm is in fact the soft core of approximately 70 different species of palm trees that grow in tropical regions, especially in Latin America. It’s also often referred to as “palm cabbage” though it has nothing to do with the cabbage family. The heart of palm has a sweet flavour, like artichoke hearts, and its flesh is very tender. Only the pre-cooked canned is available around here and we eat them mostly in salads. The heart of palm is a great nutritional value food as it is full of fibre, vitamins and minerals and has very few calories. Try our recipe for Sunny Salad with Hearts of Palm. Originally published in the Journal de Montréal on June 7, 2014.